Karl Kemm earned a bachelor’s degree at the University of New Mexico. He studied music history and performance practice at the University of New Hampshire for a master’s degree under the guidance of Keith Polk and the renowned music iconography pioneer Mary Rasmussen. In 1989 he joined the Air Force Band at Travis AFB and also began freelancing in the San Francisco Bay Area while studying under Dave Krehbiel. After 1994 he remained associated with the Air Force through the Texas Air National Guard Band from which he retired in 2011. 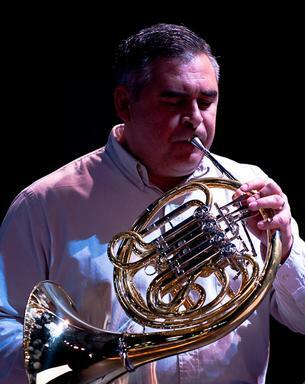 He served as adjunct faculty at Texas Woman’s University from 1998 to 2001 and as principal horn with the Abilene Philharmonic until 2007. Currently he freelances and clinics as an orchestral and early music natural horn player throughout Texas and the neighboring states. He performs with the Corpus Christi Symphony, the Austin Baroque Orchestra, and occasionally with the Victoria Symphony. At Del Mar College he teaches horn and Introduction to the Humanities.